In a novel of female endurance and obligation, Mitsuki, the 'semi-neglected daughter' of the Katsura family, must not only bear the lion’s share of caring for her elderly parents, but must also steel herself for the failure of her marriage. ...[a] gorgeous and intimate novel ... One of the most entrancing things about this novel is that it retains the rhythm of a serial even in bound-book form ... Mizumura’s writing is urgent yet thorough, and her plot — with its multiple divorces and infidelities, scheming, legends and deaths — just short of overwrought. 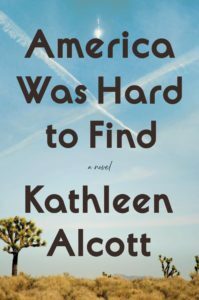 But her prose is controlled and as dense as poetry ... Part 2 is a wandering, sometimes frustrating sequel to the very straightforward Hemingwayesque quality of Part 1. Yet so worth it. The resolution of Inheritance From Mother is natural and satisfying in myriad ways. At 446 pages, the novel can be baggy on occasion, but there is admirable ambition in the way Mitsuki’s story expands into a much larger portrait of middle-class anomie in a Japan still reckoning with its past and the paradoxes — and fraught compromises — of its identity ... In Mizumura’s novel, the new world may be constructed a thousand times, but invariably it reaches back into the old, the kind of inheritance that just may emanate darkness — as well as light. The 66 chapters are brief, emotionally combustible and, in Juliet Winters Carpenter’s translation, liberally strewn with clichés (blood freezes, people stop in their tracks and reach for the stars). There are also fascinating asides about the history of the serial novel in Japan, because Mitsuki believes that these fairy-tale melodramas were responsible for shaping her mother’s acquisitive personality and may have contributed to her own marital unhappiness. So Ms. Mizumura craftily mixes the old with the new, creating a highly readable throwback to popular dime novels that replaces gilt with guilt and romance with real talk. 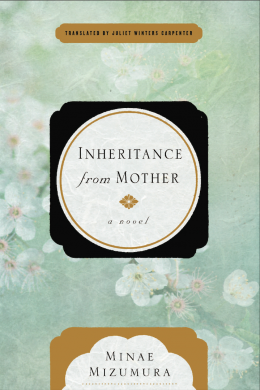 What did you think of Inheritance from Mother?